A Taste of regional cuisine like you've never experienced before!  The Italian Chamber of Commerce of Ontario (ICCO) is a non-profit business organization whose main objective is to promote business development within Canadian and Italian companies. We believe that a stronger relationship between the two countries will create more opportunities for investment, and that the Italian Canadian community can be the springboard for a partnership, where business and cultural exchange can drive growth. It is ICCO’s mission to provide services to the Canadian companies that want to know a creative and profitable market like Italy, and to the Italian companies that want to come to a strong, stable, and receptive market like Canada. The Italian Chamber of Commerce of Ontario offers a number of fee-based services for both members and non-members. Our staff are experts in performing market research, matching companies to potential partners overseas, and developing communication strategies. This, combined with our overseas business network, make the Chamber an effective and modern vehicle for business. Services include commercial missions, office space rental, referral service, market research and more. By becoming a member of the ICCO you will get the opportunity of getting in contact with senior representatives of a thriving business and professional community, both locally and abroad. You will also benefit from our wide variety of value-added services, which can be catered to your specific needs. Become a member today and start enjoying the many services offered by the Italian Chamber of Commerce of Ontario, and we will assist you in promoting your business. The ICCO Wine Desk is the new program of the Italian Chamber of Commerce with the specific mandate of promoting Italian wines in Canada. Italian cuisine must be considered a contribution to the world heritage and has to be defended and protected against adulteration and falsification to preserve the history, culture, quality and authenticity. Marchio Ospitalitá represents a communication campaign designed to promote quality Italian cuisine and present the Italian “agri-food” extended production model, exemplifying the talent and tradition that goes towards the Made In Italy concept. ICCO will continue to promote authentic Italian food in Ontario throughout 2018. We will be organizing educational tours, Master classes, food symposiums and other exciting initiatives both in Italy and in Canada. Recognizing authentic Italian products and processing and preparing them to enhance their best qualities are among this project’s goals. “We have a long-standing relationship with the ICCO, and share the same commitment in promoting Italian-Canadian business and culture in the GTA and across the province, while building strong partnerships. Our continued Business Excellence Awards sponsorship is a testament to this relationship. The Italian Chamber of Commerce of Ontario (ICCO) is a non-profit business organization whose main objective is to promote business development within Canadian and Italian companies. We believe that a stronger relationship between the two countries will create more opportunities for investment, and that the Italian Canadian community can be the springboard for a partnership, where business and cultural exchange can drive growth.